Me, Kopi, and some Alchemy on Great Day! This entry was posted in Events, News on February 17, 2018 by Heather Hubbard. Repetitions & Variations gets some love! The Fresno Bee‘s Donald Munro, the leading authority on theater, performing and fine arts in the central San Joaquin Valley, lists our April show, Repetitions & Variations, as one of his “Five Picks for April Art Hop“! This entry was posted in Events, News on April 16, 2017 by Heather Hubbard. In November 2016 I happily became the newest member of Clay Hand Studios in downtown Fresno (660 Van Ness Avenue). This group of talented and generous ceramic artists have made me feel so welcome and have inspired a flurry of creativity this spring. To celebrate, my friend Dawn Hart (fellow member of Clay Hand) and I are having a show this April in the Clay Hand gallery. Opening night is April 6, 5:00 to 8:00. We will also be hosting a closing reception on Sunday April 23, from noon to 4:00. So come out and help us celebrate our new clay home with food, drink, and fine art! 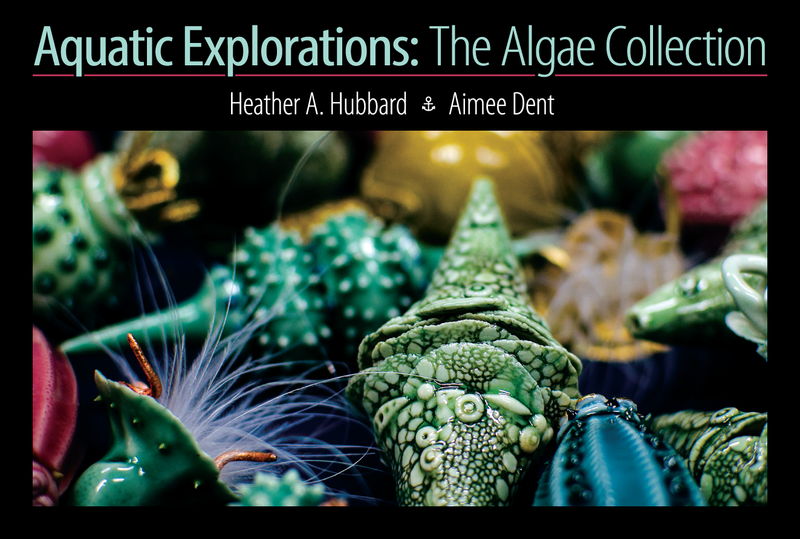 Three of my algae critters have been accepted for the 5th annual Art Scientifique show! Opening night is Thursday, March 5th at the Chris Sorensen Studio. The show will run through the end of the month. 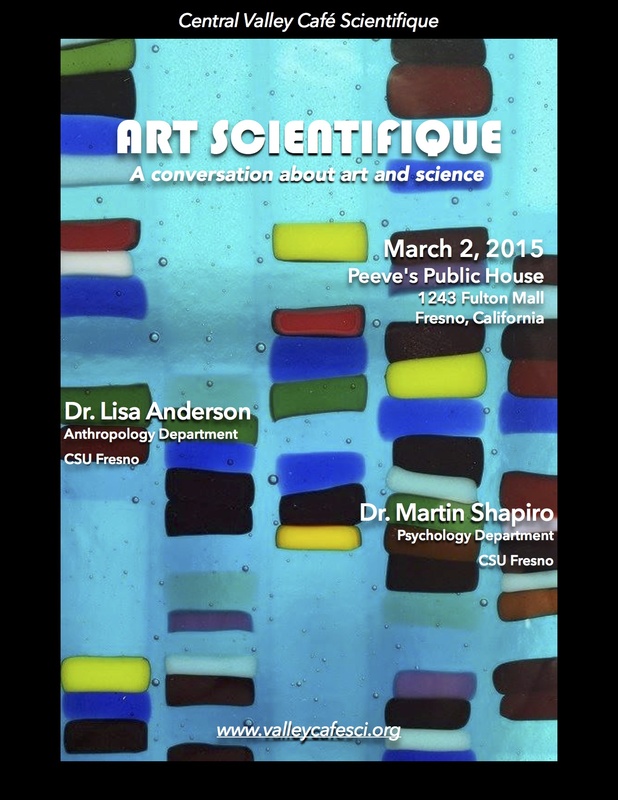 This event showcases a variety of artwork that celebrates the space where art and science meet. I’m sure this show will have something for everyone. And what a great venue! The Chris Sorensen Studio is an amazing labyrinth of wonderment featuring the works of artists in sculpture, metal work, and glass blowing. Truly a Fresno treasure! 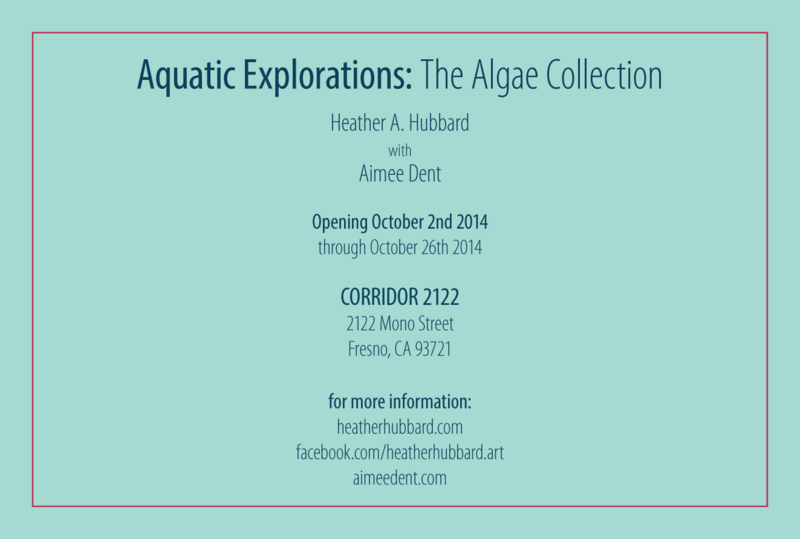 So I hope you’ll come out to celebrate art, science, and the spirit of exploration. And in related news . . . This entry was posted in Events, News on February 28, 2015 by Heather Hubbard. Opening Night in 52 Seconds! Here’s a time-lapse video shot during the opening. It’s almost 3 hours compressed into 52 seconds! It’s almost like you were there. Or maybe you were—see if you can spot yourself! This entry was posted in Events on October 3, 2014 by Heather Hubbard. This entry was posted in Events on August 26, 2014 by Heather Hubbard.